The winners were chosen by a jury of 57 automotive journalists from a group of three finalists in each category. 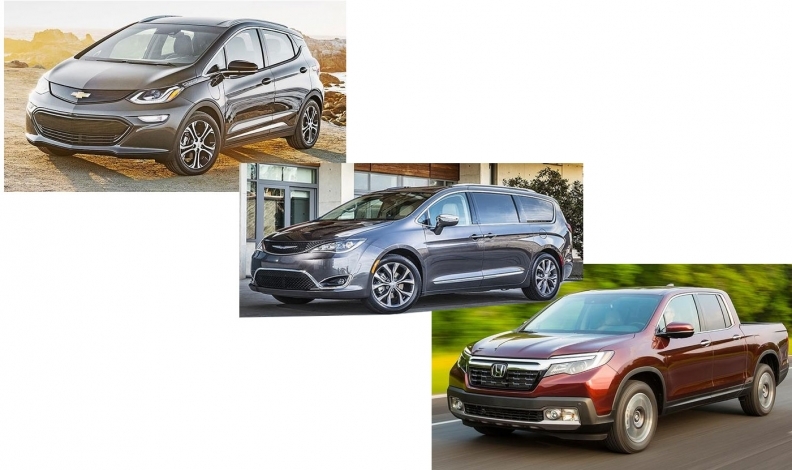 DETROIT-- The Chevrolet Bolt was named the 2017 North American Car of the Year at the Detroit auto show Monday, while the Honda Ridgeline took the truck honors and the Chrysler Pacifica, built in Windsor, Ont., took home the newly minted top utility vehicle of the year. The winners were chosen by a jury of 57 automotive journalists from a group of three finalists in each category. A vehicle must be redesigned or substantially changed in order to be eligible for the award. The Chevrolet Bolt beat out the Genesis G90 and Volvo S90. This marks the first time Chevrolet won since 2014 when it swept with the Corvette Stingray and Silverado. The Honda Ridgeline beat out the Ford F-series Super Duty and Nissan Titan. The first-generation Honda Ridgeline won the award in 2006. Finally, the Chrysler Pacifica was named utility vehicle of the year, beating out the Jaguar F-Pace and Mazda CX-9. This was FCA’s first win since the Ram 1500 in 2013. The 2017 show marked the first year that NACTOY handed out three awards, following the addition of the utility category. Crossovers, SUVs and minivans previously competed in the truck category. Vehicles are judged on several categories including innovation, design, safety, performance, technology, value and driver satisfaction. The independent jury includes Automotive News engineering and technology reporter Richard Truett and news editor Sharon Silke Carty. The winners were selected in a third elimination stage. The three finalists in each category were chosen from a list of 15 cars, 11 utilities and four pickups in November. Those models on the short list were narrowed down from a larger list in the fall. Ed Welburn, recently retired General Motors vice president of global design, designed a trophy for the awards, inspired by the Oscar award. The Acura NSX, Audi A4, Buick LaCrosse, Cadillac CT6, Chevrolet Cruze, Hyundai Elantra, Jaguar XE, Kia Cadenza, Lincoln Continental, Mercedes-Benz E-class sedan, Porsche 718 Boxster and Cayman and Toyota Prius Prime were the other cars on the short list. 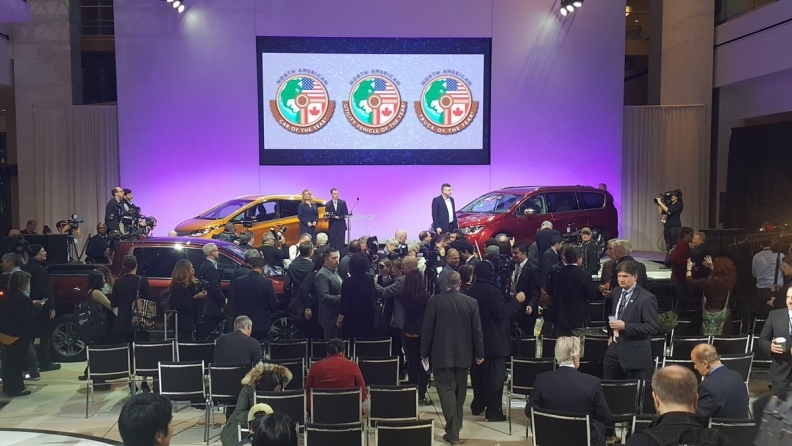 The remaining utilities were the Audi Q7, Buick Envision, Cadillac XT5, GMC Acadia, Infiniti QX30, Kia Sportage, Mercedes-Benz GLS-class and Nissan Armada. The only other pickup was the Ford F-150 Raptor. The Honda Civic and the Volvo XC90 won the 2016 North American Car and Truck of the Year awards.